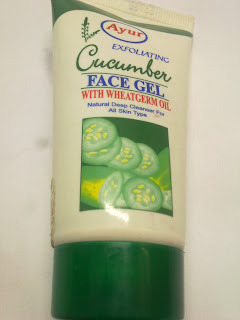 Today I’ll write a review on Ayur Exfoliating Cucumber Face Gel. 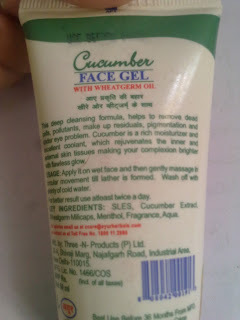 So I came across this face wash almost a year back. Let me tell you at the beginning, I am not at all a fan of Ayur product. Somehow they always disappoint me, specially the toner. Though the reason behind buying this product was the presence of the two words- ‘cucumber gel’. The words GEL attracts me I don’t know why. Maybe it gives me a feeling that it doesn’t contain soap or something like that. So lets start with the review. A deep cleansing formula helps to remove dead cells, pollutant, makeup residuals, pigmentation and under eye problem. 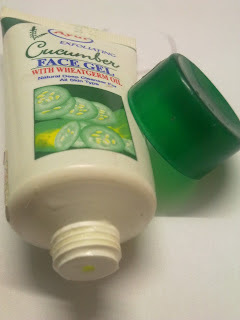 Cucumber is a rich moisturizer and excellent coolant, which rejuvenates the inner and external skin tissues making your complexion brighter with flawless glow. It comes in a small tube with a green colored screw cap. Apply it on wet face and then gently massage in circular movement till lather is formed. Wash off with plenty of cold water. It’s totally a gel like thing. It doesn’t really have any fragrance but has a smell of cucumber. There are few things that I don’t agree with the description of the product that’s written on the tube. I have some contradiction with the words like Exfoliating, Lather and Fragrance. As I said before, it’s a total gel thing. It doesn’t contain any granules or anything that will help your skin to exfoliate. Next contradictory word is lather. This is my second file. 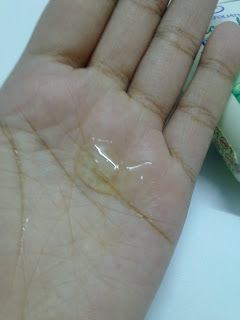 Till now, not even once did it form lather on massaging. Lastly the word ‘fragrance’. There is absolutely no fragrance. I don’t know if they meant the smell of cucumber to be fragrance or something like that. But apart from these I like this face wash. It’s a mild kind of face wash. One good thing is this that after using, it doesn’t make your skin dry and stretchy. I get a fresh feeling after using this. 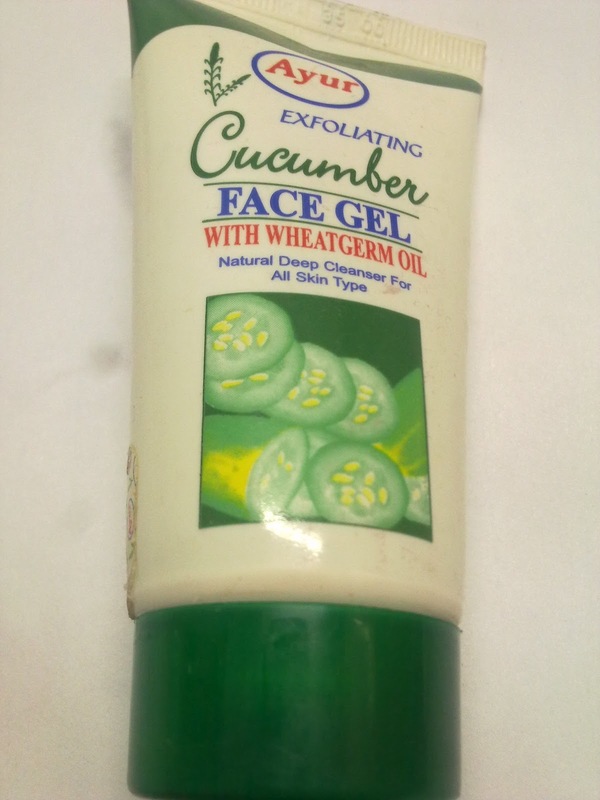 The product is nothing really special but I keep this as an alternative face wash. The days when I am at home, I use this face wash to freshen up. Agreed with you regarding the toner its like applying spirit on my face. Especially the smell when i apply on nose i feel I have smelled acid bottle. Great suggestions and some interesting comments to boot. Thanks sor sharing information about Ayur Exfoliating Cucumber Face Gel & its uses.thekhadishop offers khadi products online & give your a luxurious experience of khadi.